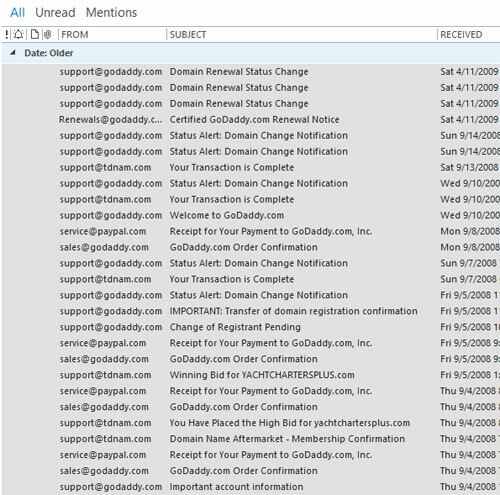 Outlook has so many great features, and a lot of Outlook users are not aware of many things that Outlook can do. 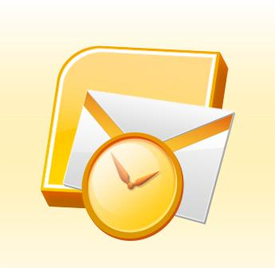 One of the greatest time-savers is the ability to delete large amounts of email in a very short time. If you use Outlook for your email, and your inbox or some other folder has gotten out of control with too many emails, today’s tip is for you. Sometimes email can get a little out of control. Or maybe a LOT out of control. And suddenly you see your inbox or one of your email folders have hundreds of emails that you don’t need or want. And at that point it might appear to be such an overwhelming project, it’s easier to ignore the growing mess and vow to deal with it another day. But it only gets worse because the emails just keep coming. But guess what – it’s not as bad as it seems! When I’m dealing with a client who has this problem, and they show me the only way they know to solve it, I can understand why they would feel so discouraged. That’s because they think they need to click once to highlight one email in the list, then click Delete. Then when the pop-up asks “Do you really want to delete this email?” they click “Yes”. There it goes, one email gone. 857 emails to go. Hey, if that was the only way to do this, I would feel discouraged too! But there’s a faster way – much faster. 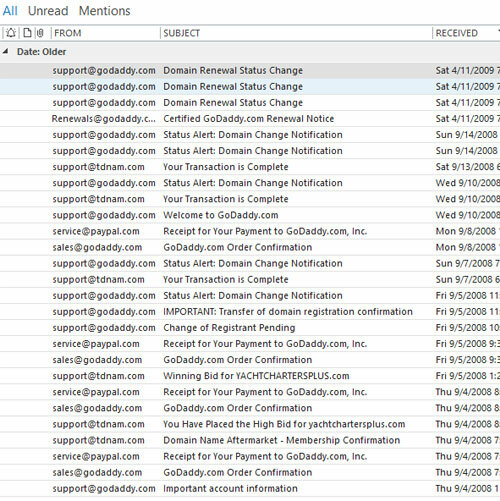 Here’s an image of an old folder of emails in my Outlook. These are 27 emails that I no longer need, but what I’m going to show you could just as easily apply to 270 emails or 2700 emails. click on the first email in that list to highlight it. See what that does? Every email in between the first one and the last one is now highlighted. Now, since they are all highlighted, whatever action I take will apply to all of them instead of just a single one. If I hit the Delete key, they will all be deleted. MUCH faster than doing it one at a time. One word of caution – if you have a folder with a HUGE quantity of emails, like more than 10,000, you might not want to do all 10k at the same time. Maybe do 3,000 or 5,000 at a time. The number of simultaneous deletions your computer can handle depends on your computer (memory, processor speed, etc.) so if you try to do too many at once, your PC may not be able to handle it and might freeze up. Or it might take so long to do all those emails at one time, you might THINK it has frozen even though it’s still working. Oh, boy, some people didn’t realize that you can highlight and delete as a group multiple emails? Obviously you have to have either opened them all or somehow just KNOW that they are safe to be deleted. I’ve noticed that Second Copy takes a long time the larger certain folders grow like the sent folder for instance. Highlighting and deleting, while it does it in one click, doesn’t happen so quickly. Patience is needed and then finally the folder is empty and Second Copy backs up Outlook must faster. As usual, Scott, THANK YOU! I will be sending you my old, dusty ThinkPad soon for your own use. I’m really happy to dispose of it properly, so thanks for that, too. Another helpful trick I use is to sort the inbox by the To: field and delete whole groups of “junk” at a time (like the Facebook notifications or the Michael’s emails!). Sometimes it is easier to see a thread of mail that is unimportant that way.